I drink kombucha like it’s going out of style. I’ve been buying it in the store for a couple years now and usually have one a day. When I lived in Virginia, my friend was making her own and even though she encouraged me to do it, I thought it was some kind of labor intensive hippie journey that I wasn’t ready to embark on yet. If I had taken her advice years ago I certainly would have saved a lot of money, but you’re ready when you’re ready, right? The entire recipe will be at the bottom of this post, but I’ll be talking through some of the pictures as you make your way there. Kombucha is a fermented tea. It is fermented by combining tea, sugar, and something called a “scoby” that makes the magic happen. The term “scoby” is actually an acronym for Symbiotic Culture Of Bacteria and Yeast and may also be referred to as a “mother.” How sweet. 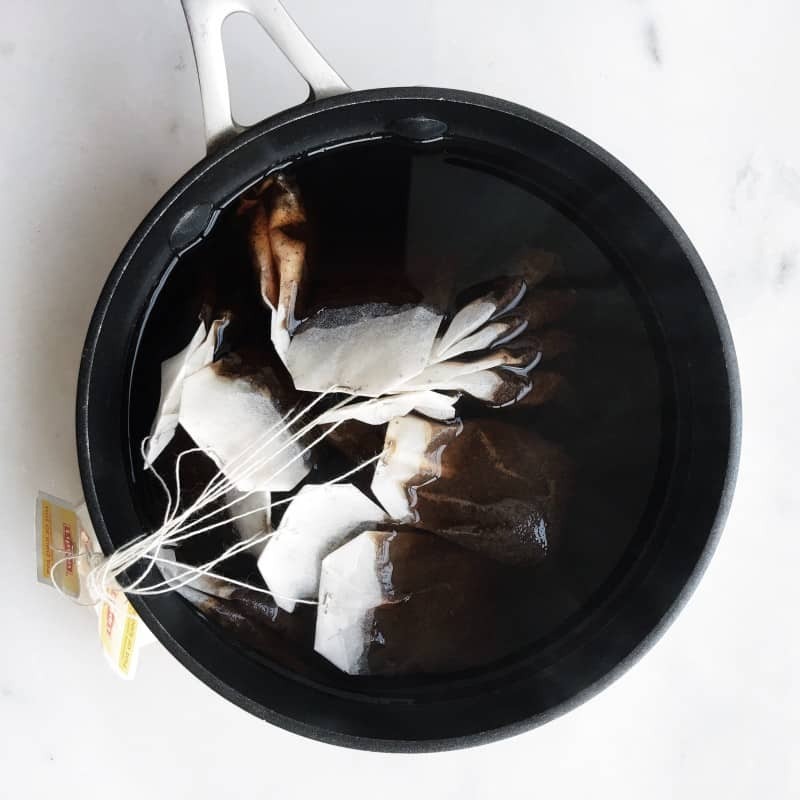 The tea and sugar are added along with the scoby, which then eats the sugar and ferments the tea, leaving it more tangy and carbonated than before. When bottled, your kombucha will also contain small amounts of live culture which is what helps promote gut health as a probiotic. All you have to do is brew tea, mix with sugar, and leave it alone to do its work. It’s that simple. 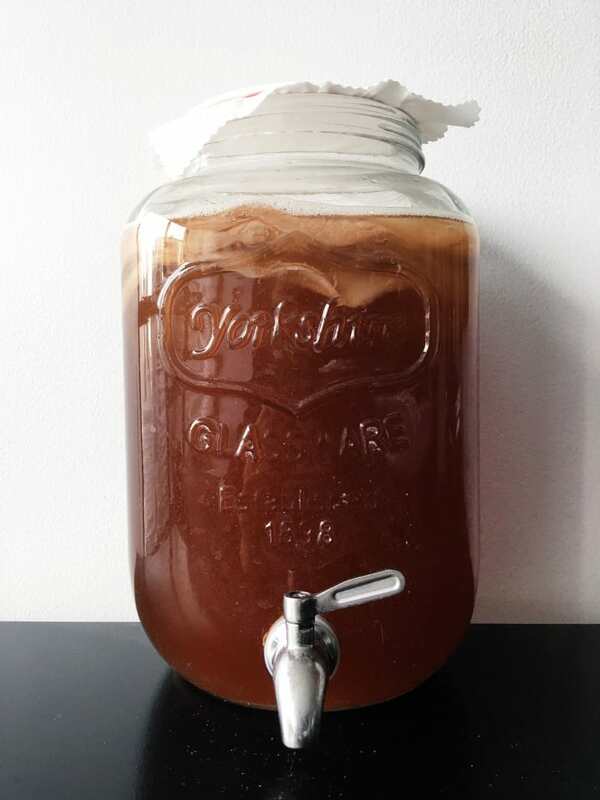 There are three ways to obtain a scoby — someone who already brews kombucha can give you part of theirs, you can order one online, or you can grow your own. I’m far too impatient to grow my own as it can take anywhere from 2-4 weeks, but if you’re interested in doing so, this post has a helpful tutorial with plenty of pictures. 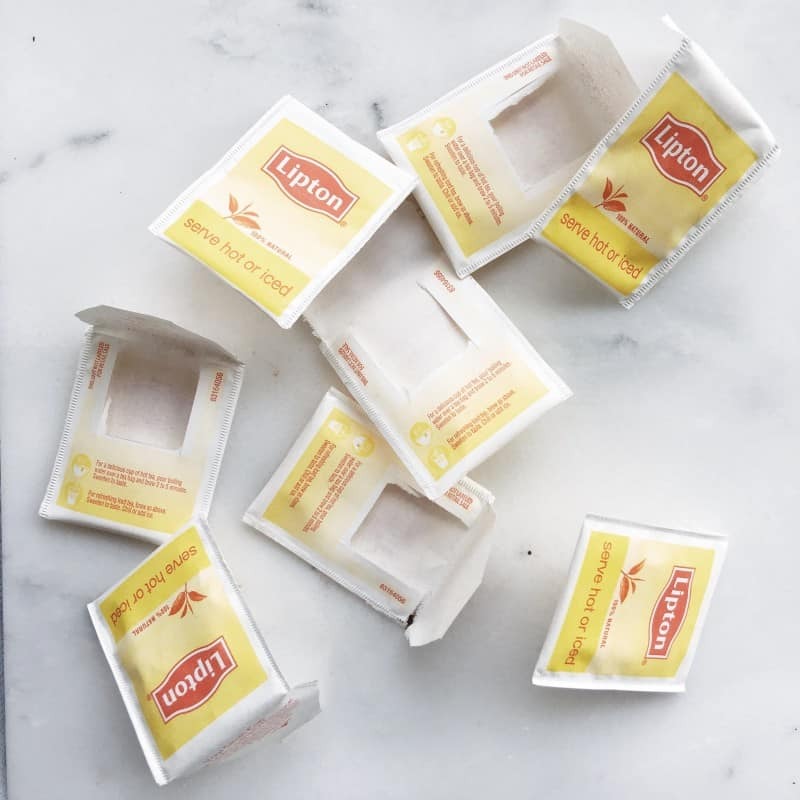 There are several sites that sell their own fancy kombucha-brand tea to use in the brewing process, but I have been using regular Lipton tea and it’s worked just fine. You can also experiment with different varieties of tea such as green and oolong if you want. It’s also advised that you use organic cane sugar in order to keep the recipe as uncontaminated as possible, but I only recently purchased some and have been using up the regular cane sugar I had in the pantry which also worked fine. I’ll let you know if I notice a difference in future batches. There are also two methods for brewing kombucha — single batch and continuous. I chose the continuous because I knew that I would need a lot given the amount that I drink. The single batch method makes smaller batches with separate scobys and when one is done you typically have to start over from square one. I prefer the continuous method because it’s like a revolving kombucha factory and there’s also limited interaction with the outside air. This limits the likelihood of contamination. This tutorial is for the continuous method, but if you’re interested in making one batch at a time, here is a link that may help you. It needs to be either glass, ceramic, or porcelain. No plastic or metal containers as they will react with and potentially damage the brew. Wider mouths are generally better, but not mandatory. Do not tightly seal the top. Coverings of paper towels, muslin, or a fabric from a brewing company are the best to allow air through while keeping out fruit flies and other contaminants. Cheesecloth is usually not thin enough to be used. The spigot on your container should be either plastic or stainless steel. No metal for the aforementioned reasons. I bought a replacement spigot for my container simply because the reviews said that the original one sometimes leaked. If you buy the same container, here is the spigot I bought. The typical fermentation time for your brew will be anywhere between 7-10 days. Once a week is up, taste a small amount to see if it is to your liking. If it’s still too sweet, leave it longer and taste it day by day until it’s how you want it. Once your kombucha is ready, bottle it up. I usually leave some in the container (see below) in order to help the next batch along. Sometimes I like kombucha just the way it is, and other times I like to flavor it. If you’re planning on flavoring your batch, you’ll now move on to what’s called the second fermentation. This process takes approximately another 5-7 days. In my opinion, the best flavorings come from juices and not entire fruits or pieces of food. Each bottle will contain some of the live culture and when pieces of fruit are used as flavorings, they tend to get caught in the small scoby. Read: it’s not pleasant to swallow. 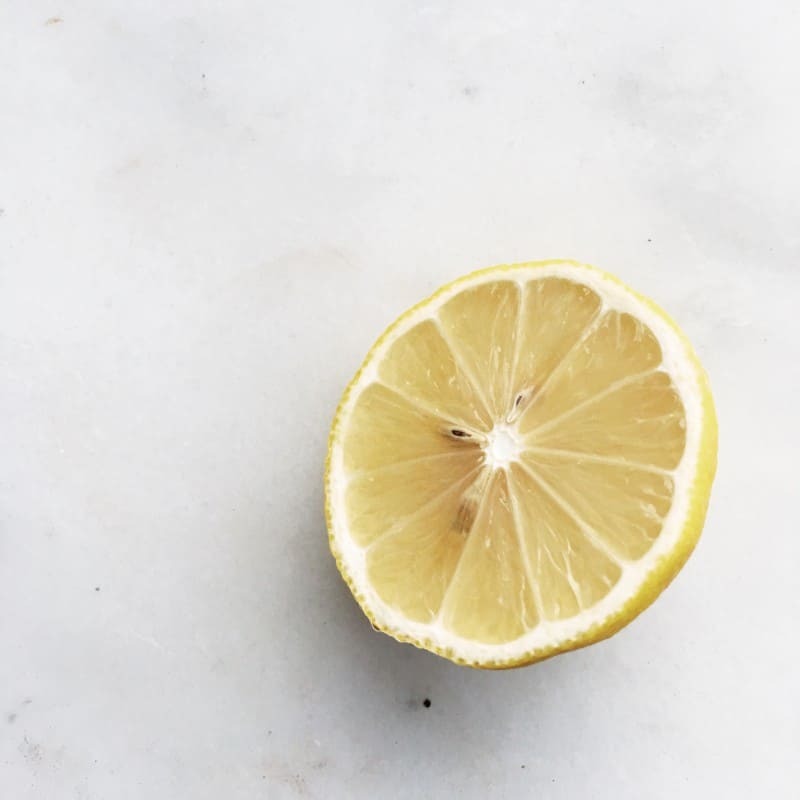 Lately I’ve simply been flavoring mine with a little lemon juice and with the added sugar, the brew becomes more carbonated and tangy which is just how I like it! Pour about 1/4-1/3 of the gallon of water into a small saucepan. Heat until boiling, then turn off stove and remove from heat. Brew all 8 tea bags for approximately 10 minutes. Remove bags and squeeze out any water before throwing away. Add 1 cup of sugar to the saucepan and stir until dissolved. Pour tea and sugar mixture into a larger pot or saucepan and add the remaining water from the gallon. The tea should now be close to or at room temperature. If it’s not, it MUST cool to room temperature or it could damage the scoby. 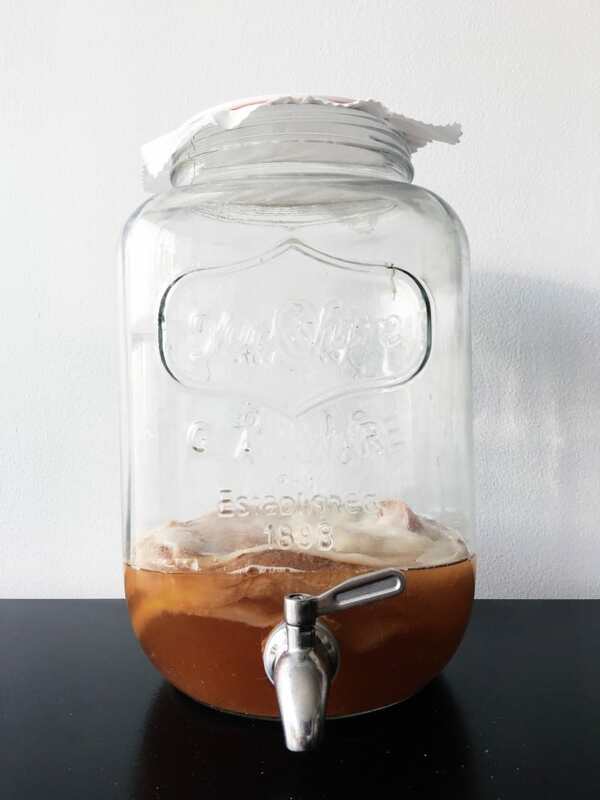 Add the scoby and the original, unflavored kombucha to your brewing container. This kombucha acts as a starter tea to help catalyze the process. If you have grown your own or bought a scoby, you will have some starter tea with that as well which can be added. If you’ve gotten one from someone else, make sure they give it to you with a little starter tea. Add your tea and sugar mixture to your brewing container which now includes your scoby and starter tea. Cover your container with the appropriate covering and set your container somewhere cool and dark (mine is under the counter in the kitchen). Leave for 7 days and then begin checking your brew until it’s ready! The reason I brew the tea in a small amount of water and then add the rest of the gallon is to shorten the cooling time to room temp. You can boil the entire thing, but it will take much longer to cool down to room temperature. I have a 2 gallon container, so I make 1.5 times this recipe (12 tea bags, 1.5 cups of sugar, and 1.5 gallons of water). For a continuous brew, simply repeat steps 1-4 and add into your brewing container after bottling your batch (you don’t need outside kombucha from this point on). If you plan to do a second fermentation (the flavoring), I’d advise using a small amount of juice to flavor your batches rather than whole fruits. Also make sure to screw on caps and lids tightly so the carbonation doesn’t escape. Bottles can be left out while fermenting and placed in the fridge when done! If anything doesn’t make sense or you have any questions about how I brew my kombucha, simply shoot me an email or leave me a comment. Happy brewing! It’s not hard – see how you can brew your own kombucha at home! 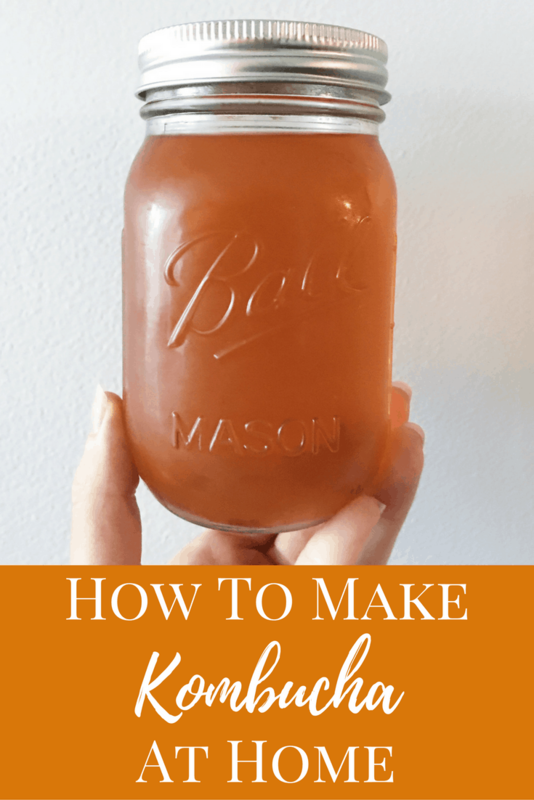 Have you ever made your own kombucha? This is something I would like to try. For as much kombucha I drink, it would be a huge cost savings. What kind/flavor of tea did you use? Can’t wait to try this on my own. I love ginger kombucha in the mornings. Yes! Let me know if you try it! Do you think different flavoured teas would work too? From what I’ve read anything with flavors or besides just straight regular tea leaves shouldn’t be used because it can mess up the scoby. I just use regular Lipton tea! Ooh I would love to try this; wish I could share some of your scoby. 🙂 Kombucha is just so expensive, and I would love to try to make my own. Emily recently posted…From a People Pleaser: Who Are You Living to Please? You can order one online! I’d definitely give you some of mine if we were closer! Lemon juice!! genjus. i’m kicking off my home brew again to see if this works for that tangy-fizzy taste i can’t get enough of. i previously used too little sugar i believe and then dried fruit- no Bueno. Yeah it needs sugary juicy deliciousness haha. I hope yours goes well! Confused about how you do the second fermentation for continuous brewing.. Do you take some out and then do the second ferment? in bottles? Yes! You bottle it up and then add flavors if you want them. I add a little lemon juice and let them sit for another 5-7 days. If you don’t want to flavor it you can just drink it after the first fermentation!